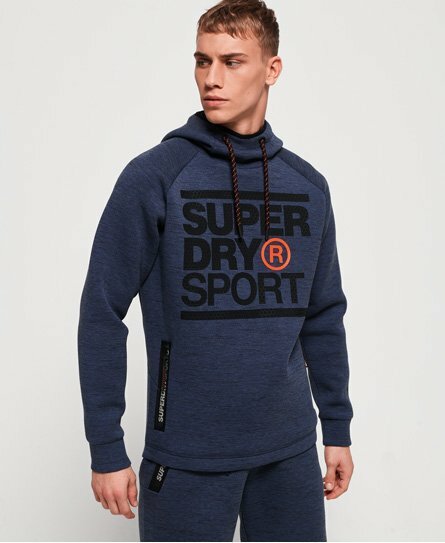 Superdry men’s Gym Tech stretch graphic hoodie. Made with stretch technology this overhead hoodie will be a comfy necessity pre and post workout. Featuring an adjustable drawstring hood, a large front pocket with zip fastening and a textured Superdry Sport logo across the chest. The hoodie also has ventilation detailing and thermal properties, making it the perfect addition to your sports wardrobe.